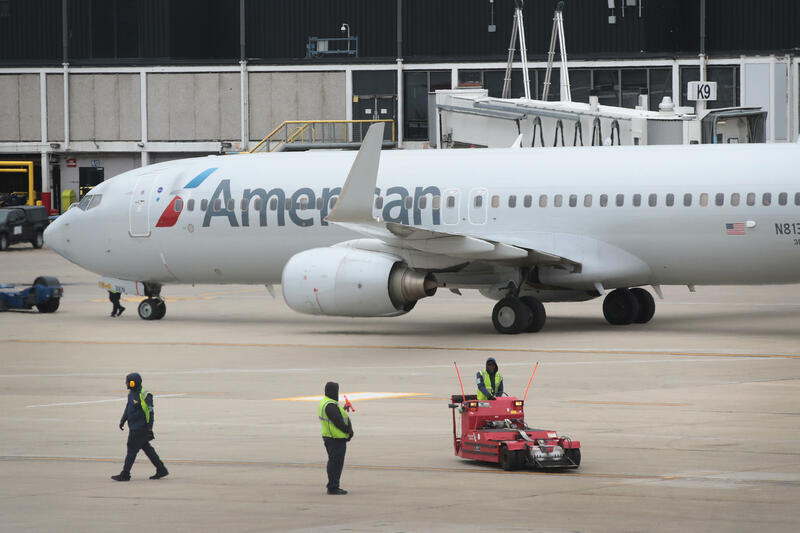 NEW YORK — A member of an American Airlines cleaning crew discovered a dead fetus in an airplane toilet at LaGuardia Airport early Tuesday morning, CBS News' Kris Van Cleave reports. The fetus was found hours after Flight 1942 arrived Monday in New York City night from Charlotte, North Carolina. After the aircraft — an Airbus A321 — remained on the ground overnight, a cleaning crew came on board ahead of the plane's planned Tuesday departure. One of the attendants noticed a large amount of toilet paper in one of the plane's lavatory toilets. While removing the toilet paper, the cleaner discovered the foot of what appeared to be a fetus, in the toilet. "As we continue to learn more about this tragic and sensitive situation, we are actively cooperating with law enforcement in their investigation," an American Airlines spokesman told CBS News. LaGuardia Airport warned via Twitter shortly after 8 a.m. Tuesday that flyers traveling out of B gates may experience some delays because of an "out of service aircraft," which was code for police activity surrounding the plane. That activity caused some brief delays pushing back other aircraft. Port Authority Police were called after the discovery. While Port Authority Police have major crimes detectives, a spokesman said "the DA also has investigators that step in in cases like this one." "We are looking into that," said Silvia Estevez, a spokesperson for Queens, New York, District Attorney Richard A. Brown. That was her only answer to any question about the investigation underway. Several dozen travelers at LaGuardia were saddened to learn the reason behind their delayed flight, CBS New York reports. One passenger, who asked to remain anonymous, said they couldn't believe it. "I think it's awful. Abandoned fetus on a flight? That's terrible."